Romantic volumes, sophisticated details and technical fabrics with embroideries chic contemporary design to dress with an original touch of charm. These are the features that redefine the Tanita‘s collection style designed to best enhance the female form. The color palette relies on pastel colors like pink powder, is an illustration of the blouse in neoprene fabric decorated with rhinestones effect jewel I wear today. Is instead in marsala color, one of the most popular shades and decreed color of the year, the new collection Infinito Linea Madame di Gioielli Caramella created to charm and dazzle with the game of twist that recalls the embrace between man and woman in a infinite relationship. Volumi romantici, dettagli sofisticati, ricami chic e tessuti tecnici dal design contemporaneo per vestire con un originale tocco di charme. Queste le caratteristiche che ridefiniscono lo stile delle collezioni Tanita disegnate per valorizzare al meglio le forme femminili. La tavolozza cromatica si affida a tinte pastello come il rosa cipria, ne è l’esempio la blusa in tessuto scuba decorata da strass effetto gioiello che indosso oggi. 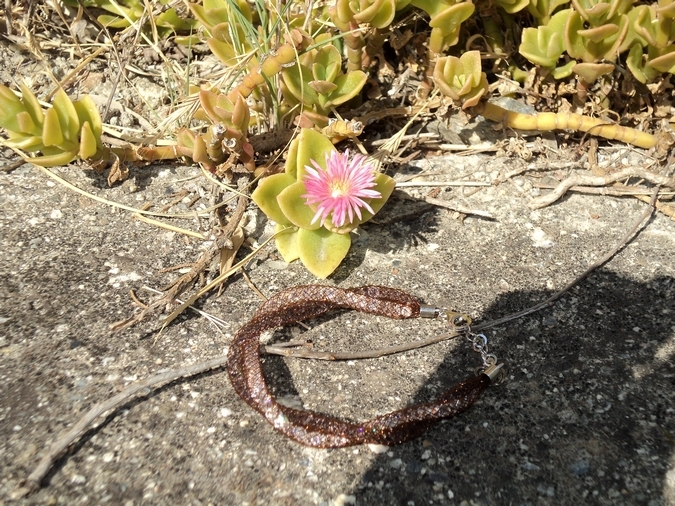 E’ invece in color marsala, una delle nuance più amate e decretata colore dell’anno, la nuova collezione Caramella Gioielli Infinito Linea Madame creata per ammaliare ed abbagliare con il gioco dell’attorcigliamento che richiama l’abbraccio tra uomo e donna in un rapporto infinito. You look beautiful have a great weekend. What a cute look and you pulled it off really great! Love your ankle boots! Pamela I am totally crushing on your look, it’s gorgeous. Just beautiful this color is absolutely gorgeous love everything about the outfit good job! I love blush pinks! Your bag is so pretty! ti stanno bennissimo questi shorts! secondo me questi due colori sono perfetti insieme…il colore del 2015 è il Marsala….e Il colore rosa è connesso alla femminilità. thank u for showing ,me how to style marsala. I cannot wait to try this color combo.u look fab. Mi sono innamorata follemente della tua maglia!!! Hi lovely, really nice look, those colors look great one and the bijoux is so pretty too. Sei semplicemente deliziosa…Adoro i tronchetti e gli accessori Caramella! I love it. It looks so Spring. The pale pink is really nice it’s almost blend right into your skin. Love Love Love the shoes! You look gorgeous Girl..nice OOTD..i loved your earrings. 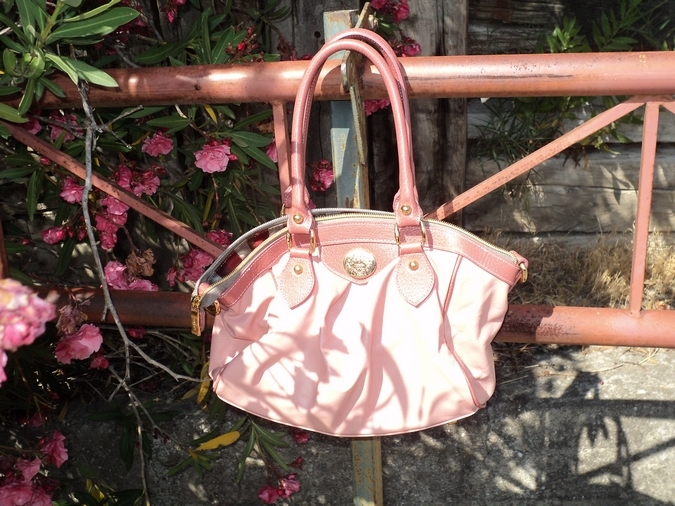 Sono due colori che mi piace molto, Marsala e pink :) Cosi, il tuo outfit e perfetto, mi piace i stivaletti e la borsa, moltissimo! Il top eh cosi dolce e tu sei sempre elegante e bella! Ti auguro un bellissimo fine settimane! I love pastel colours! The dark and light colours balance this outfit well! Let me know if you’d like us to follow eachother and keep in touch? 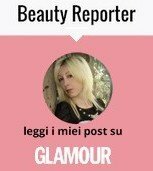 Adoro il tuo look, molto bella la maglia! Un bacione. You look gorgeous in pink dear! I love the shorts, they are so cute! Ti stanno bene queste nuances brava! stai benissimo tesoro, mi piace questo completo soprattutto la maglia! Wow, pink is lovely on you, gorgeous! Che bello questo look, a me piace tanto il color cipria! Mi piace tutto l’abbinamento, belli gli stivaletti e anche i bijoux! Bellissimi questi due colori insieme! Pretty in pink:). Love this summer look:). Love the colors of this look! You look so pretty! You look great. Love the bag! Fantastic look, love the bag. love the feminine romantic pastel tones! Lovely look and perfect combo of colors! Lovely color. You look amazing with it! You look totally adorable Pamela! Love the color mix. Amazing top! Due nuances che insieme stanno benissimo. Splendido look e splendida tu. adoro queste fotooo!! :) bel look!! Three cheers for the colour pink! haha :) I love the shorts, you wear them well! sei bellissima Pami, stai molto bene! beautiful look, cool outfit ! Qué monada de shorts!!! Te sirntan genial, Pamela!!! …questo abbinamento marsala e rosa cipria mi piace tanto…bel look!!! So much pink for Dora! But you look great girl!! Lovely outfit! this look great on you. Molto carino questo look in rosa! Love the pink on pink, especially with the beautiful flowers in the background! Mi piaci tantissimo con questi colori Pamela! Bellissimi gli orecchini! Amazing color combo. It really looks gorgeous on you. Adoro il rosa e ate sta davvero bene! Looking so chic! Love the boots, amazing! Belle foto, le scarpe sono molto carine. The shorts & booties are great! che belli i colori di questo look! What a great outfit for summer! Love the colours in it! cara Pamela, adoro queste nuances di colori! Un look molto elegante e femminile. Secondo me molto adatto a donne more con la carnagiona olivastra. I am loving those shoes! Gorgeous! You look beautiful <3 Love the colour combination! Dear Pamela, this pink and black combo suits you so well! Love all the gorgeous summer blush tones and your blush booties are everything!! I’m obsessing over those shoes! It’s really pretty. That’s something I’d like to have. So fab! Wow awesome outfit! You styled these two colors perfectly! Gorg! Il connubio rosa cipria e marsala è delizioso, bon ton, ma con grinta. I have never been a lover pink, but you are making it happen! Great look! Cute outfit ! Love everything from the top to the shoes ! nice outfit! I really like your top and your purse!